Hyundai's self-driving Ioniq, shown, uses lidar technology fitted behind the front bumper rather than on the roof, retaining the car's sleek design. I’m a big fan of autonomous driving and am eager to buy a fully self-driving car as soon as I can, but many others are skeptical. One reason is they want to be sure that the artificial intelligence in control of their vehicle knows exactly what’s happening on the road around the car. 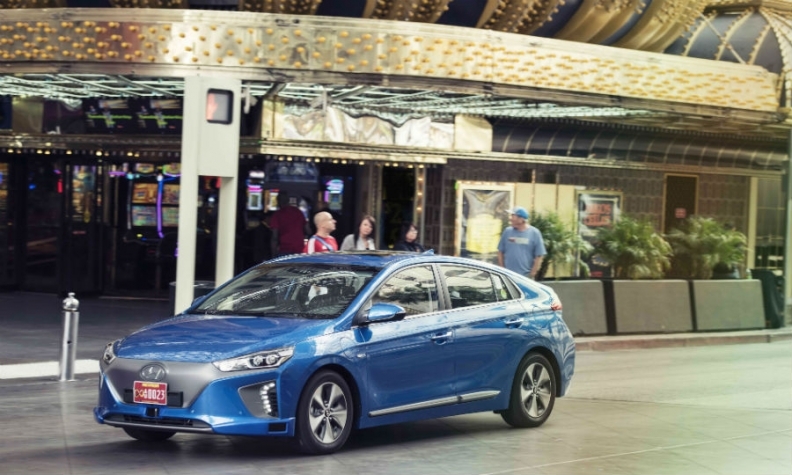 To overcome those fears Hyundai made available autonomous Ioniq models to visitors of this week’s CES consumer electronics show in Las Vegas. After testing one around the roads surrounding the CES venue, I think Hyundai has found an effective way to calm the safety fears of even the strongest doubters. The self-driving Ioniq uses lidar technology (a laser and radar-based detection system) to identify surrounding vehicles, people and objects. A large display on top of the dashboard showed me what the car sees. A green light means everything is going smoothly, while a red light indicated that the car was about to intervene, mainly braking or steering when it detected an approaching obstacle. The good news for autonomous driving skeptics was that the car detected pedestrians much sooner than I did, including a man I missed because he was partially hidden by a light pole. The full-electric Ioniq drove smoothly around Las Vegas, stopping and restarting at traffic lights. It coped perfectly with curves in the road and even tight 90-degree bends. Hyundai placed the lidar technology behind the front bumper rather than on the roof to keep the car’s sleek design. The detection systems were integrated as much as possible with the production Ioniq’s existing functions such as the smart cruise control system’s radar and the lane-keeping assistant’s cameras. Hyundai wants to make autonomous driving affordable and says it is refining its self-driving technologies to use less computing power, but executives couldn't say how much its cars with autonomous technology would cost. My only disappointment from the road test was the answer I got to the question any potential buyer will ask: "When can I buy a car with this level of hands-free, eyes-free autonomous driving?" This is good news and bad news because the technology is almost there to make autonomous driving commercially viable but legislation -- particularly in Europe -- is still a long way from making this possible.